Finally, this post concludes a series exploring record access considerations with the different portal user license types. This post covers the Partner Portal type. By way of reminder, the decision tree below should be used when making the high-level decision on the appropriate license type for the different user populations within your portal. The Salesforce partner portal supports partner relationship management (PRM) scenarios such as Opportunity collaboration, Lead sharing etc. Enabling businesses to manage channel activities within Salesforce in parallel to their direct sales. As with all external user access scenarios it is imperative that the visibility model provides partners with relevant data access, but no more. Partner portal users have the Gold Partner user license type – it is my understanding that the Silver and Bronze license types are no longer available. Create on Account, Asset, Cases, Contacts, Custom Objects, Idea, Lead, Opp – basically all the SFA standard objects. 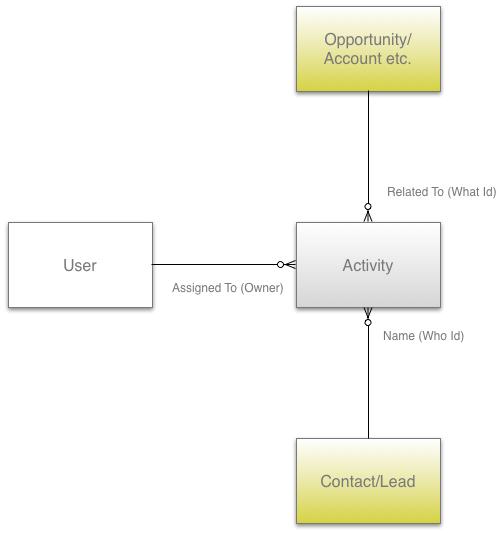 Partner portal users are placed in the role hierarchy as below, as descendant roles of the Account Owner’s role. So for each account where a Partner Portal user is activated (Acme in the case above), a set of 3 roles is created under whichever role the account owner has allocated. Executive users can view manager owned records and so on. The number of roles created can be set between 1tans 3, giving control over partner user sharing granularity versus proliferation of user roles (and consequential impact on performance). 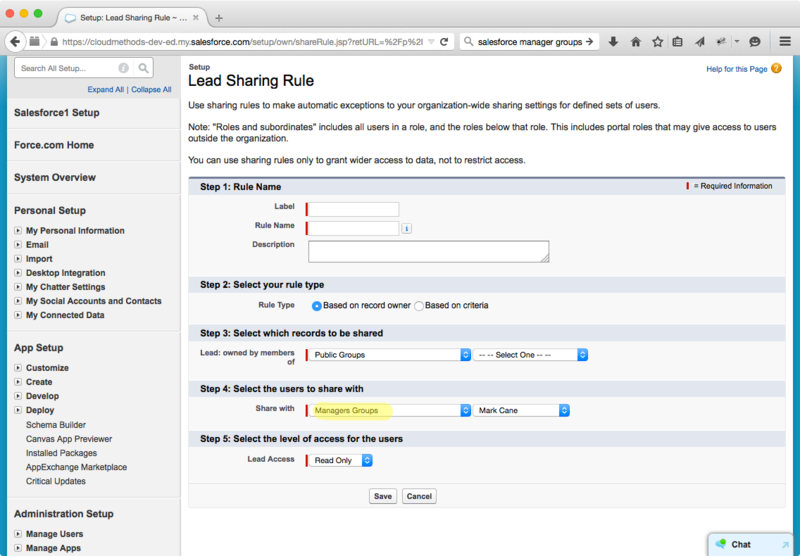 Role-based and criteria-based (CBS) sharing rules, manual sharing, Apex Sharing, Apex Managed Sharing. 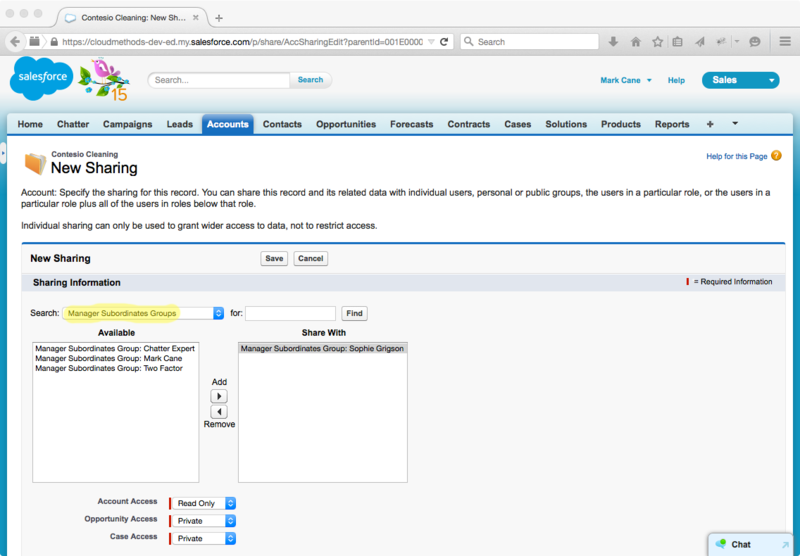 Introducing a partner portal requires a full analysis of the sharing model implemented within a Salesforce org. Public sharing means public to partners also. This principle equally applies to report and document folders. Listviews with names which reveal something you don’t wish your partners to see should also be secured. Note. This page on the Salesforce help site provides an excellent reference for further information. An interesting addition to the Summer ’12 release is the pilot of separate OWD settings on custom objects for external users. For example, a custom object may have public read-write sharing for internal users and private sharing for external users. In many cases this will simplify the sharing model significantly as the rules below have historically applied to all users including portal users and guest users. Applying the above OWD rules across internal and external users typically results in an overly private model for internal users and a resultant proliferation of performance-expensive sharing rules. The new separation of concerns here is a great improvement for custom objects, but not standard objects (hopefully this is on the roadmap). Seemingly simple, yet powerful functional enhancements such as this that reduce the amount of custom configuration applied to an org are to be applauded. This post is the second in a series exploring record access considerations with the different portal user license types. This post covers the Customer Portal Enterprise Admin type. The Customer Portal Enterprise Admin (CPEA) user license type relates to the Customer Portal Manager Custom license type (as displayed within Salesforce). Note, the Customer Portal Manager Standard license type is obsolete in the sense that it is not available to new customers. The CPEA user license provides coverage for use cases such as B2B empowerment to manage portal users (Delegated Portal User Admin), extended standard object permissions and non-trivial record access requirements (beyond those applicable to HVPU). CPEA users are placed in the role hierarchy as below, as descendant roles of the Account Owner’s role. So for each account where a CPEA user is activated (Acme in the case above), a set of 3 roles is created under whichever role the account owner has allocated. Executive users can view manager owned records and so on. The number of roles created can be set between 1 to 3, giving control over user sharing granularity versus proliferation of user roles (and consequential impact on performance). Can have the “Super User” permission – this provides Read and Update on cases submitted by all users related to the same account (includes case comments and attachments). The CPEA user license is significantly more expensive than the HVPU license types – for good reason, and should be used only when the additional functionality is necessary – perhaps in a complementary model. It always makes sense to perform a full upfront analysis of the access model requirements for a portal solution – retrospectively addressing functional issues incurred through the wrong license type selection can be costly and entail inelegant design compromise. When designing portal solutions on the Force.com platform it is imperative to understand the sharing model implications of the user licenses and related base user profiles in play. In this post I’ll outline the key considerations in respect to record access for high-volume portal user license types; Authenticated Sites (aka Platform Portal) and Service Cloud Portal. In both cases users do not have roles and can’t be added to teams, groups or sharing rules. So how do you provide record access? Note, this topic (and complex sharing models in general) is fundamental to understand if you’re considering the Salesforce Certified Technical Architect certification. So to start with, the decision tree below should be used when making the high-level decision on the appropriate license type for the different user populations within your portal. The following items examine each of the HVPU license types in turn with a view to clarifying how record access is achieved and the constraints to consider. The Authenticated Sites, or Platform Portal User, license is intended for high-volume scenarios (up to millions of users) where access to Standard Objects is not necessary and record access requirements are simplistic. Sharing Sets – provides sharing to records (account, case or custom object) related to the portal user’s contact or parent account (via lookup field). Access level can be read-only or read-write but can’t be more restrictive than the OWD for the object. 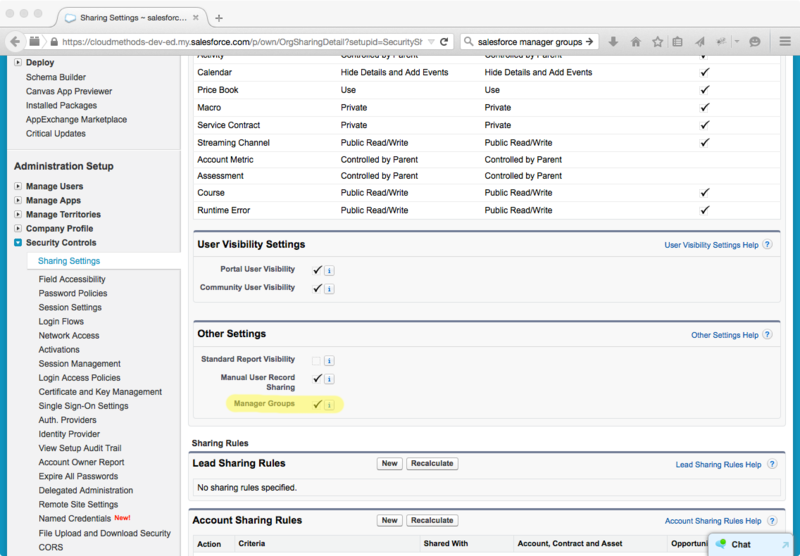 Sharing Sets are at the user profile level, not per-portal and each user profile can be associated with only one sharing set. For example – you can provide write access to the portal users related account via a sharing set, or provide full access to all custom object records in a private OWD object which are related to the same account as the portal user. A Share Group defined at the portal level provides access to records owned by HVPU to other users, via Public Group, Role, Role and Subordinates and Users. A reasonable exemplar use case for this license type would be event attendees registering for an event within an event management portal. In such a case the attendee may need to login after registration to provide further details, make payment, book a session etc. The attendee needs access to their own records held in custom objects and update permission on their Contact record. The attendee may also require visibility as to who else from their company is attending. Basically this license type is for external user Force.com solutions underpinned by custom objects. Relates to the High Volume Customer Portal User License and is intended for high-volume scenarios (up to millions of users) where access to Standard Objects (cases etc.) is a definite requirement but record access requirements are simplistic. Master records where the user has access to the detail record and vice versa. Sharing Sets – see above. Share Groups – see above. The typical use case for Service Cloud Portal licensing is mass B2C self-service support scenarios – offering case logging, idea creation etc. In the next post I’ll extend coverage to the Customer Portal Enterprise Admin and Partner Portal license types.